Sweetheart Diapers & More and bump maternity are working together to host an international cloth diaper changing event taking place this Saturday right here in Windsor — the day before Earth Day and during International Cloth Diaper Awareness Week. In its second year with over 230 sites in 13 countries, The Great Cloth Diaper Change event will attempt to break last year’s Guinness World Record™ of 5,026 cloth diapers changed simultaneously. 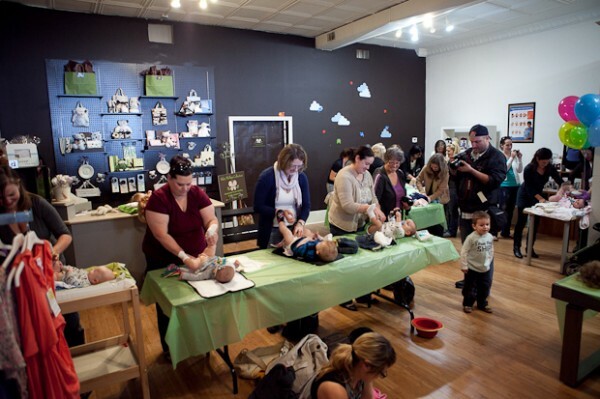 To date, there are more than 25 mom and baby pairs already registered to participate in the Windsor event. The event will take place at 12pm at Sweetheart Diapers & More located at 4782 Wyandotte Street East in Pillette Village. In addition to the Great Cloth Diaper Change world-recording setting activity, there will also be snacks and refreshments, family-friendly activities, goodie bags, and free prizes.